Why choose between ice cream and yogurt when you can have both! 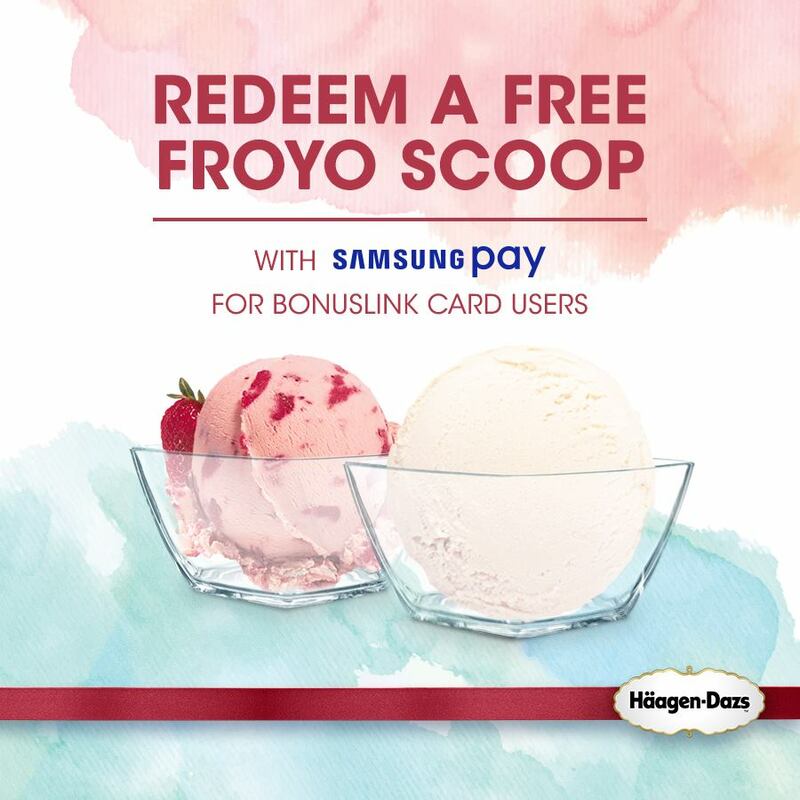 Simple - pay for a scoop of your favourite Häagen-Dazs ice cream using Samsung Pay* and redeem a free Froyo scoop. Offer valid at any of our shops from today until 20th September, limited to the first 50 scoops per shop. 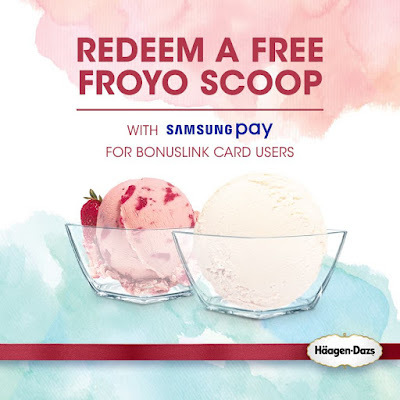 *Please upload your bonuslink card in Samsung Pay & show our staff for verification.